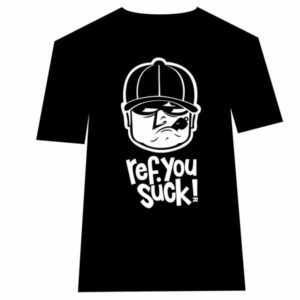 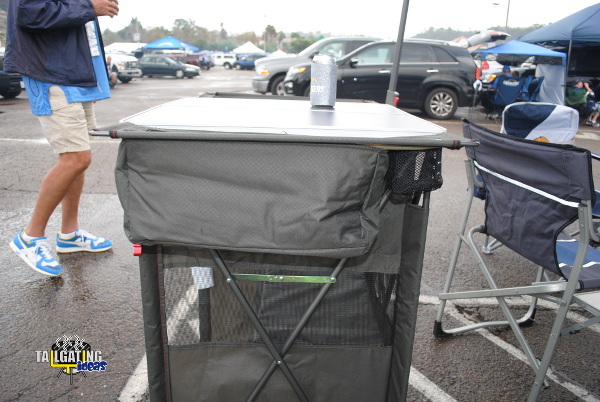 While out tailgating, you want to be the life of the parking lot. 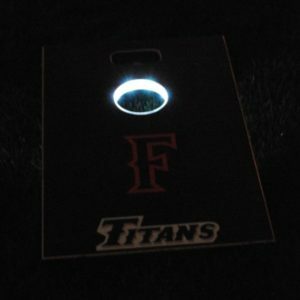 You want your party to be flawless and have everything you need within arm’s reach. 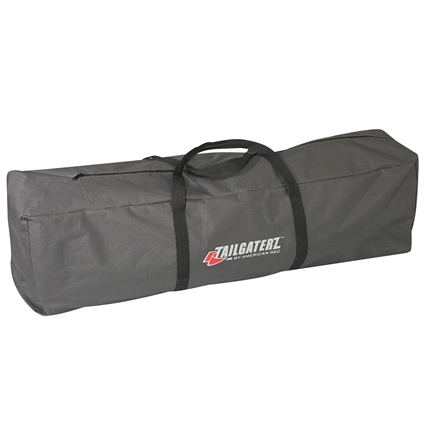 We recently discovered Tailgaterz, which is a new brand of tailgating equipment that has a number of products designed to improve your tailgating experience. 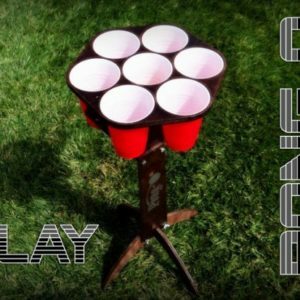 Take a look at their company video. 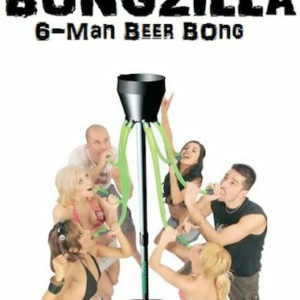 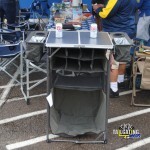 The images show you that it is a portable bar that comes complete with side trays for ice and cup holders. 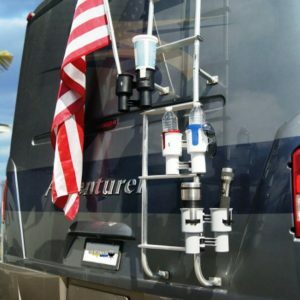 The back has a utility shelf and spaces for bottles much like a wine rack. 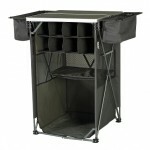 The bottom has space to place a cooler in there for even more cold storage all organized in one easy to locate area. 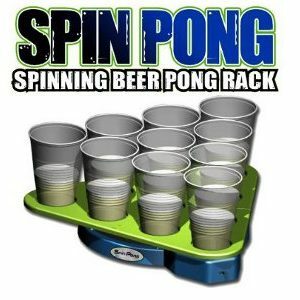 The top has a hard surface where you can mix and serve drinks and the whole unit is tall like a bar so you can hang out and belly up just like you were at your favorite watering hole. 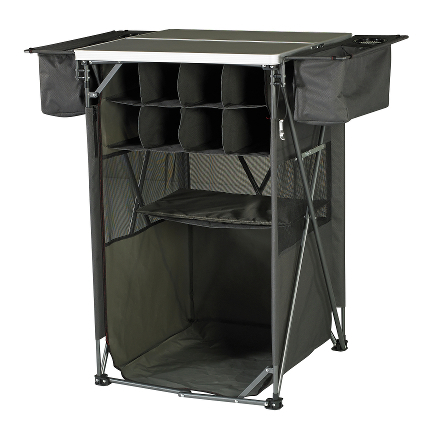 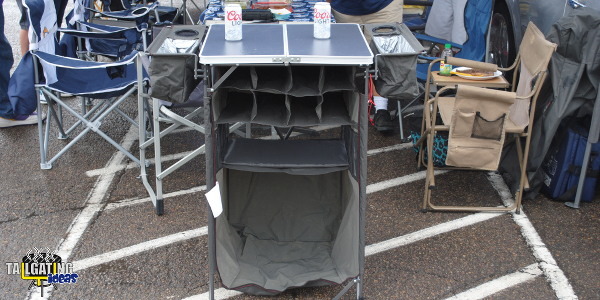 The best part is the Tailgating Tavern sets up quickly and folds down just as fast when it is time to go into the event. 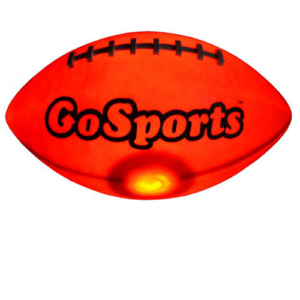 The whole thing fits into a carrying bag and fits into any size tailgating vehicle. 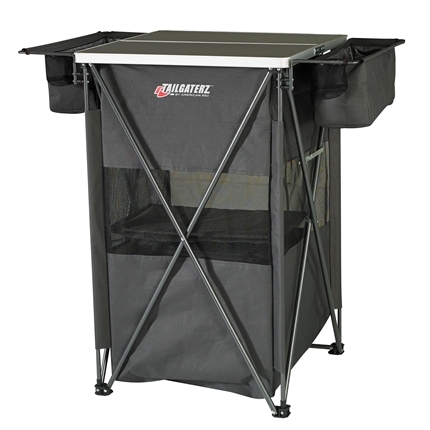 If you can set up and fold down a quad chair, you can set up and break down the Tailgating Tavern. 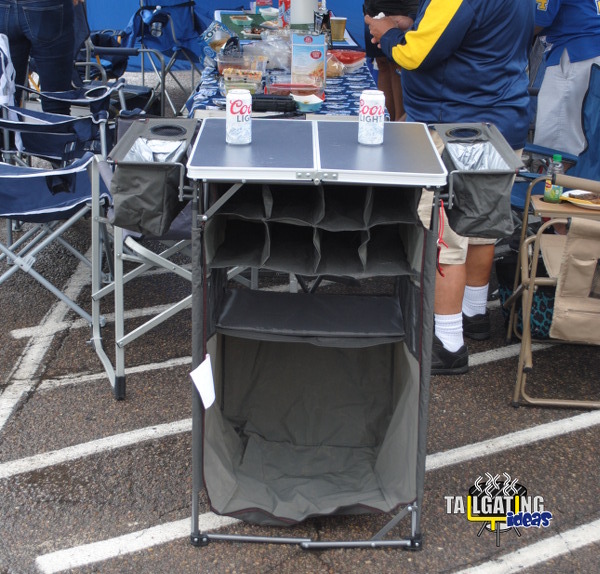 As we mentioned, we had the opportunity to test out the tailgating Tavern a few weeks while tailgating at the Cleveland Browns vs San Diego Chargers game. 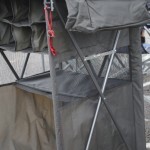 The set up was simple and quick and breaking it down was just as easy. 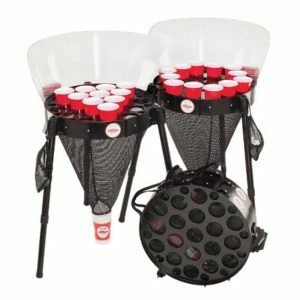 Everyone that saw us set it up was curious as to what it was and once they realized it was a portable bar, they started asking how much did it cost and where to buy one. 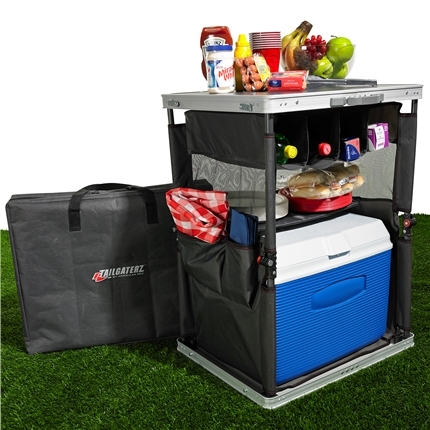 Although the Tailgating Tavern is designed more for the drinking crowd with the removable ice trays and bottle storage in the back, Tailgaterz also makes a product called the Gameday Buffet which is quite similar to the tailgating Tavern. 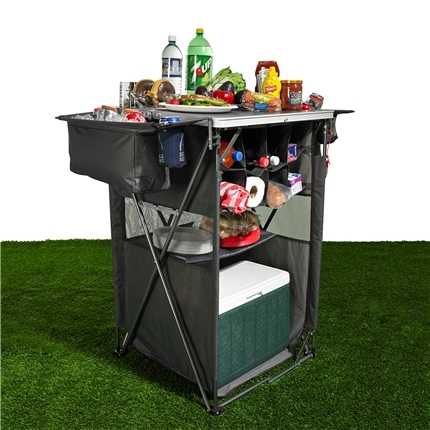 The Gameday Buffet folds up into a briefcase size and pops up and is ready in seconds as well. 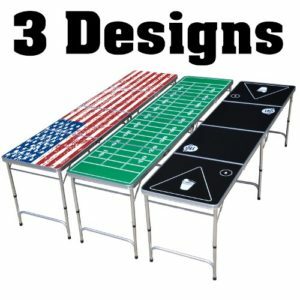 If you are not having “that kind of tailgate” where you are serving drinks and need a portable bar, the Gameday Buffet might be what you have been looking for. Check out their video demonstration of the Gameday Buffet. 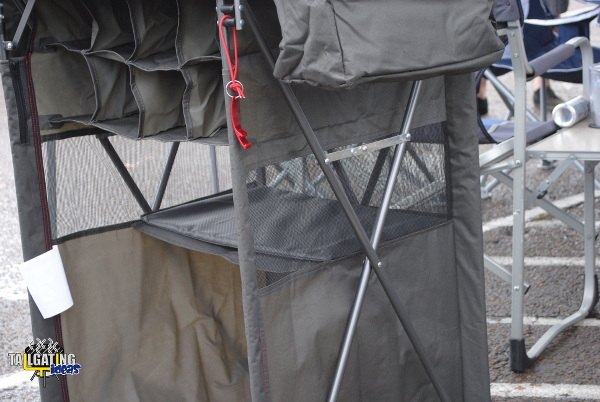 The Gameday Buffet runs in the neighborhood of $80 while the Tailgating Tavern will cost around $90. 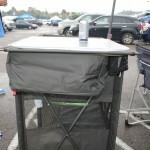 After taking the Tailgating Tavern to the parking lot and thoroughly testing it, the Tailgating Tavern is “Tailgate Approved”. 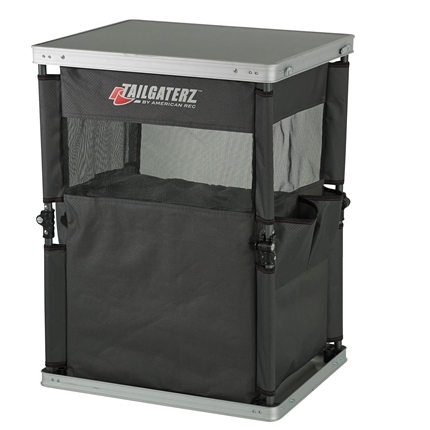 We also had the opportunity to test out and review the Cool-N-Carry, also made by Tailgaterz, and will be publishing our review on that product a bit later. 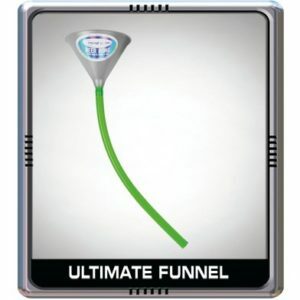 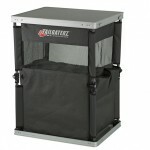 To learn more about products from  or to buy a Tailgating Tavern for your next tailgate party, visit: tailgaterzgear.com.